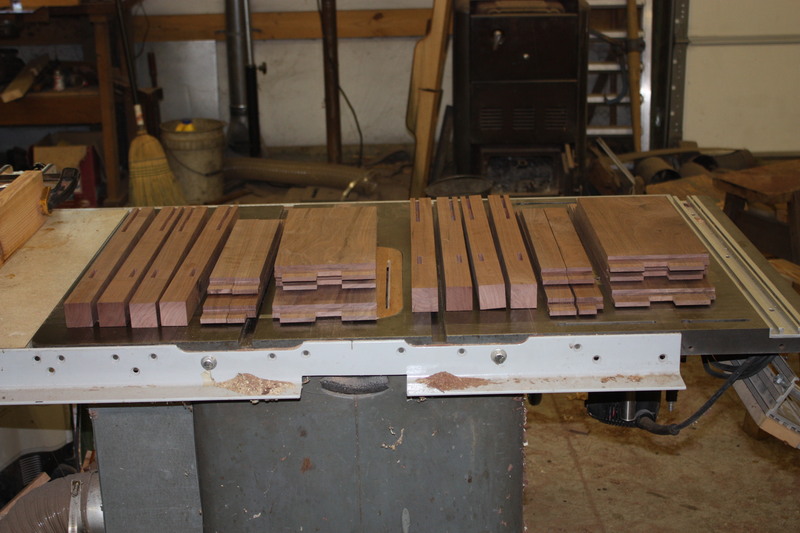 The mortise and tenons are all cut. The next step is to fit them to each other. Sticks of molding have been run. This molding will be attached to the stand and capture the case. 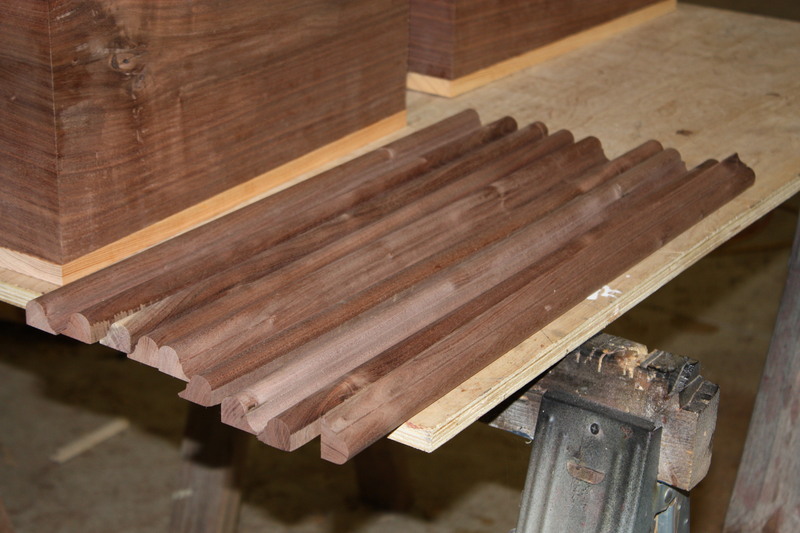 The tops and bottoms have been cut to size. 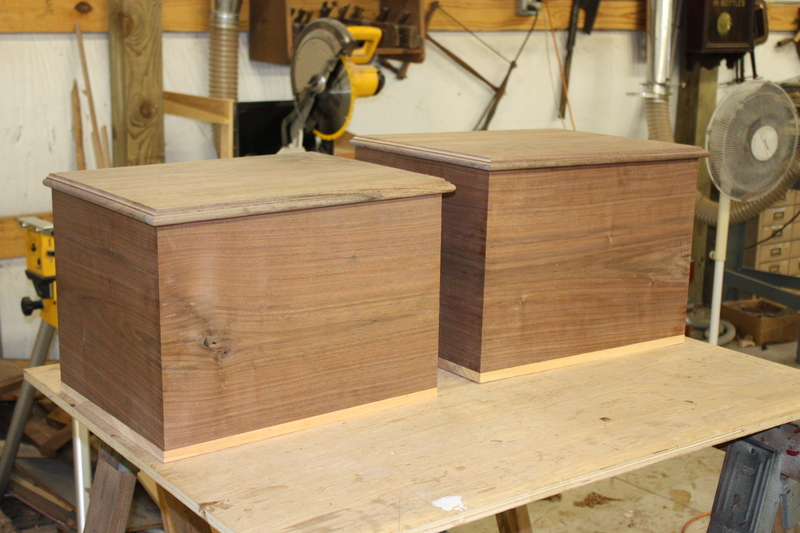 The edges of the tops have had the molding run on them. This entry was posted on September 28, 2010 by furniturewithhistory. It was filed under cellerats progression series, Uncategorized .